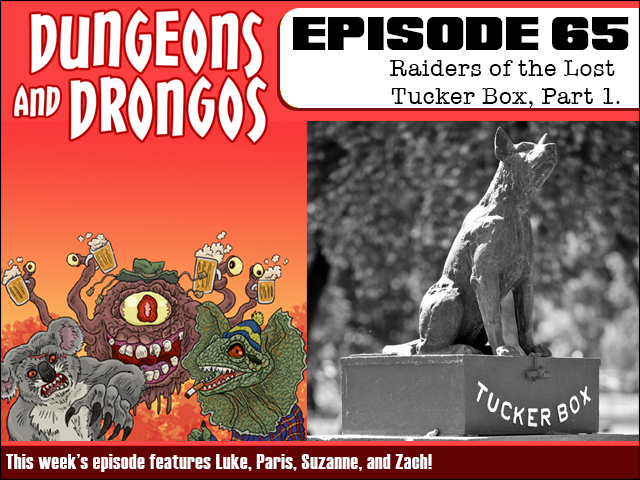 This week's brand new adventure finds our party searching for a fabled artefact buried in an ancient dog-themed temple. But to get hold of the map they are going to have to make friends with a very unlikely face from the past and steal from a billionaire Uncle who may be more than a little bonkers. It's going to make for some interesting... tales. It's Dungeons and Dragons set in Fantasy Australia, cobbers!